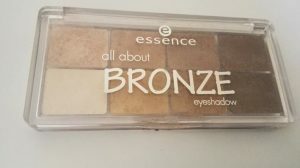 The other day I went to the drugstore in search of drugstore products that I hadn’t tried yet, and I stumbled upon the Essence All About Bronze Eyeshadow Palette. 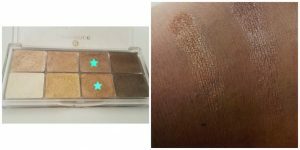 I didn’t swatch it on my hands to check the palette’s shades, and I bought it right away. It’s about 5$, so I didn’t hesitate to buy it. corner on my crease as a transition shade. The thing is, it’s not matte, and none of the shades in the palettes are. I don’t know if it’s just me, but I DO NOT like the color in my crease to be shimmery. I put it in my crease and it did not look good. I ended up using one of my other matte shades as the crease shade. Then the next two shades. The upper one is more of a copper shade and the one below it is dark golden and bronze. I won’t say I love them. 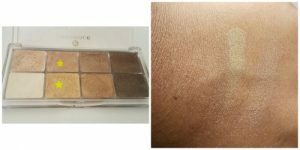 I think they would do well if you had some sort of a base shade on like the Inglot AMC Pure Pigment Eye Shadow – Highly Concentrated Loose Colored Powder (22). If you put the two eyeshadow shade on to emphasis an eyeshadow shade that’s already on, I think it would work well. The next two colors are lighter than the previous ones. Same thing as the previous ones, don’t do that well on their own, but would be good if you put it on top of a base shade. In this case Laura Mercier Sateen Eye Colour in Primrose would be a good base shade. 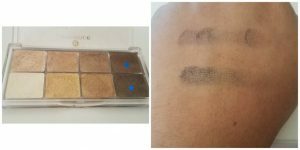 These six shades aren’t very pigmented, which is a drawback. It’s chalky as well, so I don’t know. It’s just not nice, with exception of the last two highlight shades. All of the shades have a weird smell to them, which makes me a bit nauseous. The last two shades are my favorites from the palette! Both of them are more of light highlight shades. The top one’s more of a pink champagne shade and the other one is pearly white. 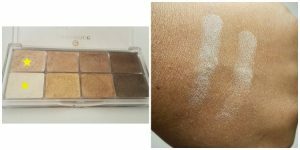 Both of them do an awesome job at highlighting the inner corner of your eyes and your brow bone. I also tried highlighting the higher points of my cheeks, and it worked well enough. That’s the only thing about this palette that has really impressed me. So overall, is the palette a must-have? No, it’s not. But if you’re one of those people who’ll buy a palette just because on one or two shades, then I think you should go for it because of the two highlight shades. Or if you’re on the hunt for a palette with all shimmery shades, then you might want to check this out. Has two good highlight shades. Has two amazing highlight shades. No shade which can be used in the crease. 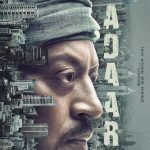 I m so glad you reviewed this. I keep eyeing it every time I m in Target, and now I m sold. It s such a pet peeve when beautiful eyeshadow palettes lack a matte transition shade. Gorgeous! I need to wear more bronze colors on my lid. I always think they are too dark .. but really do look beautiful and sun kissed.